Breast Cancer – Does Curcumin Have Chemopreventive Effects That Work Against It? Breast cancer is a disease that is quite common amongst both women and men all over the world. This form of carcinoma, like most others, can be categorized into two types – Invasive and Non-Invasive – depending upon its stage and aggressiveness. When the cancer cells are localized in one part of the breast and have not yet attacked the neighboring tissues, the carcinoma is known as non-invasive. During this period the abnormal growth can be cleanly extracted and in most cases, there is a very minute chance of relapse. On the other hand, when the cancer cells grow unabated and capture portions of tissues in regions surrounding the breasts like the armpits as well as the lymph nodes, then at this stage the cancer is of the invasive variety. Often the first signs of breast cancer are the emergence of an unusual lump in or around one or both breasts. Such lumps are either caught while doing a self-examination which is recommended for both men and women. They can also be spotted by a physician during an annual mammogram. Once a cancerous lump is detected there are several standard treatment protocols that are chosen based on the intensity of cancer. Surgery is a treatment method that is known to be most effective but it cannot be chosen for many cases where cancer has spread. Radiation therapy and chemotherapy are also treatment protocols that are often used to treat breast cancer. These methods are often very rigorous and cause many painful side-effects. This is perhaps the reason why many people have begun believing in augmenting standard treatment methods with natural therapies. Out of all the natural substances that are known to be effective in cancer management, curcumin is the most potent. A polyphenolic pigment extracted from the spice turmeric, curcumin is chockfull of therapeutic properties. One of the most amazing abilities of curcumin is to stop or reverse carcinogenesis which is the process of the development of cancer cells. This property is known as chemoprevention. Curcumin can reduce the production and activity of MMP-2, a compound that promotes the process of cancer development. Curcumin works as a cytotoxic agent and downregulates the production and activity of Bcl-2 and upregulates Bax, both of which are compounds that inhibit cell death or apoptosis in H-Ras MCF10A cells linked to breast cancer. A common toxin found in household products, BPA, has the ability to promote the creation of estrogen-responsive breast cancer cells. Curcumin can successfully put a halt to the proliferative effects of BPA by blocking miR-19. Curcumin is able to stop the growth of breast cancer cells by inhibiting Skp2 protein which promotes the progression of breast cancer. It also indices p27 in MDA-MB-231 human breast cancer cells to curb their growth. Curcumin triggers apoptosis through the PI3K/Akt signaling pathway. It also triggers a process known asAkt phosphorylation that selectively induces apoptosis in breast cancer cells. It is important to make sure that if you are suffering from breast cancer or a high-risk candidate for it, you choose a curcumin supplement that is pure and unadulterated. Aside from that, here are a few more things that one must ascertain before buying a curcumin supplement to help improve the effectiveness of breast cancer treatment. It should contain organically grown curcumin as this is the purest kind and contains no harmful chemical residues. It should contain curcumin that is not genetically modified. Ingesting genetically modified products can cause more harm than good. The curcumin used in it should be free of chemical fertilizer and pesticide residue. These artificial compounds can trigger many health issues including the development of abnormal carcinogenic cells. 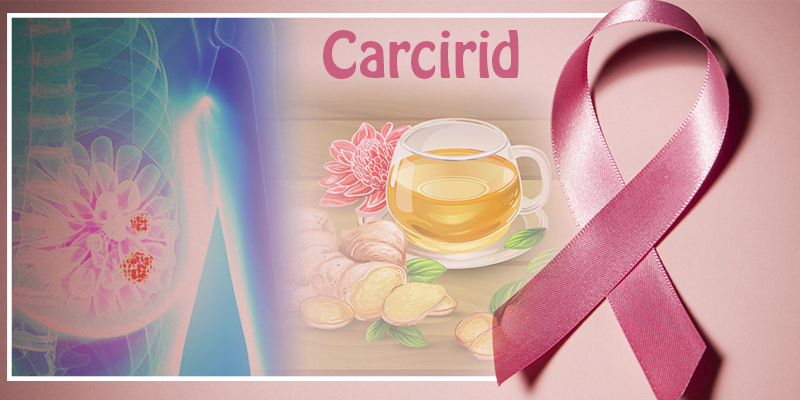 Carcirid is one such supplement that satisfies all the above criteria and can be taken without any fear by all breast cancer patients.